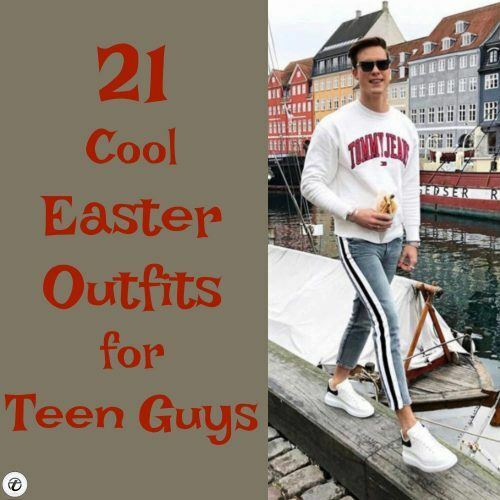 Easter Outfits for Teen Guys- Easter time is approaching and the transitional season i.e. spring is blooming around the world. Easter is an amazing occasion for peppy dress-up and some fancy brunch with family and friends. Teenage guys who are often confused when it comes to picking an appropriate outfit as per the occasion can now find the solution to their Easter wear problems here. Teens do not necessarily need over accessorizing their outfits on Easter as the minimal it is, the better it is when it comes to the holidays. You want to look stylish as well stay comfortable on the long celebratory weekend, thus you need to pick a few mandatory items from the stores which can make you look trendy without giving a hint of being over-dressed. A few of these items could also be worn during summers as the temperature in on the rise gradually and summer is about to approach along with its own fashion trends. Here I am going to provide you 21 killer dress-up combos which will groom your Easter day looks and will make you look like a fashionista. Below you will find some tips which will make it easier for you to pick an appropriate outfit for any particular Easter event. Just follow these few tips and you will look no less than a high-profile model on this Easter. Spring is the best time when you can pick pastel blazers, tees or even casual button-down shirts as these shades are quite lively and fresh. Go for these paler hues and pick for yourself an unstructured pastel blazer which can be worn over a beige or sandy colored shirt and straight cotton pants. You can simply opt for white colored low-top converse shoes with such a combo. The look is both soft and peppy and will look great if you are planning to spend your evening in a high-end restaurant for family brunch. 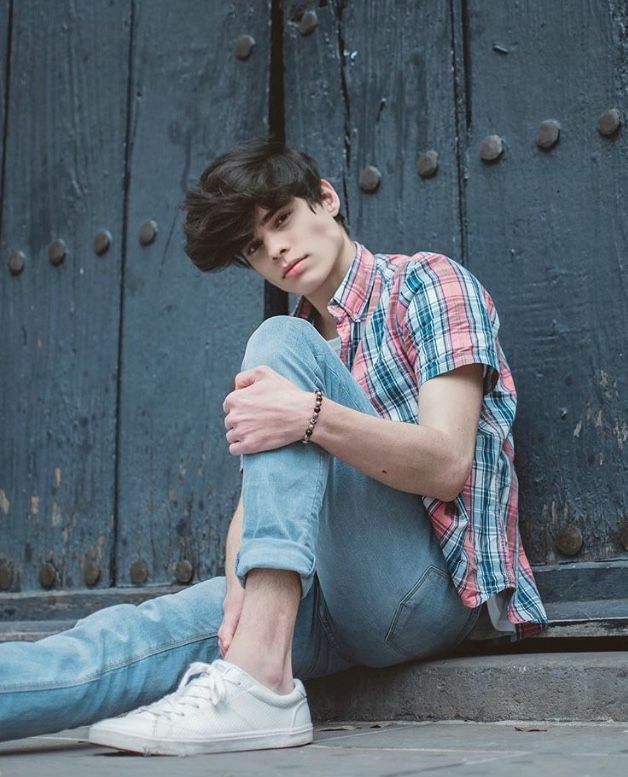 Here are 23 Ways to Wear Pastel Outfits for Guys. Being a teenager, you will definitely dream of looking as stylish as Nick Jonas or Ansel Elgort on your Easter Sunday church day. Well, you can obviously slay like these celebs, all you need to pick is a semi-formal blazer in various hues of charcoal and navy. Make sure that the blazer fits you well and you can wear these with dark wash jeans or simply matching pants. Go for a patterned tee underneath and pick gray or black perforated Oxfords to wear with this ensemble. Adding a brooch to your blazer will spice up the entire look for sure. Just like chalky tones, khaki pants are easy to mix and match as the chalky frequency of khaki looks good with any color, let it be plum, maroon green or pastels. Wear your favorite brown boots and a t-shirt with a semi-formal patterned shirt when opting for khakis. The style is amazing for day-time gatherings and it makes you look young and youthful. I know there are guys among you who are just as obsessed with black color as a dark colors lover can be, hence going for a black tee with black skinny jean pants is always a great idea and if you are opting for a tee by Armani or Tommy Hilfiger, then no one can beat your style. Wear with casual sneakers or joggers. Have a look at these 29 Ideas How To Style Black Pants. You can definitely dress casually for Easter Day lunch if you are opting for a decent plain white t-shirt with charcoal grey or any other neutral color straight pants made of cotton or wool. Adding a little texture to pants will make you look unique and stylish. Wear your favorite white converse with this combo. Leather jackets and beanies are one perfect combination and give you a subtle biker look. Wear a simple tee underneath and go for ripped faded jeans. The look is quite appropriate for Easter family dinner at some relative’s place. Also, simple sneakers in beige or white will just make you look super relaxed and up-to-the trends. You guys can totally slay florals this spring on the Easter travel just like the opposite gender. Light floral button-down shirts are just perfect if you are a fan of high-end fashion trends. Wear these peppy shirts with black or beige denim pants and try to get yourself a pair of dark black converse when trying this look. Double denim is the highlight of every season, dark wash cuffed jeans can be associated with faded blue embroidered denim jackets with a chic patterned t-shirt underneath. The look is complete only with tassel loafers in a camel or sandy color, adding to the charm of your jeans. Dark wash straight cut pants are trending much these days, but these have to crop or cuffed at the bottoms to complete the look. Always wear these pants with either loafers or low-top converse in a subtle shade. Knitted tops or sweaters in unique and catchy shades like fuschia, Asda green or carrot color are the highlights of spring clothing. Wear with jeans to any day-time party or event on Easter. Here are 17 Ways to Wear Sweaters Fashionably. Overcoat gives away your style-statement if worn rightly. Wear it with denim shirt and chinos. Bomber jackets and embroidery is a trend being followed all around the world as these represent luxury and fashion sense. For Easter dinner, wear a bomber with a simple tee and straight denim pants. Opt for mocassins as it adds a bit formal look to it. Cropped printed pants, in gingham or stripes, can be paired a polo t-shirt and white converse or gray loafers. Pastel color hoodies look as cheery as pastel shirts on Easter day. Never miss on the latest athleisure trends this Easter such as Tommy sweatshirt with striped bottoms and joggers. Check out these 20 Athletic Gym-wear Ideas for Men. Patterned or printed shirt with dark wash denim looks quite appropriate on Church day. Half-sleeved checks in chalky shades with faded denim bottoms are perfect for young guys. Wear a textured or sporty blazer to add a formal vibe to your attire on Easter party. ↓3- How to Wear Formal Wear on Easter? 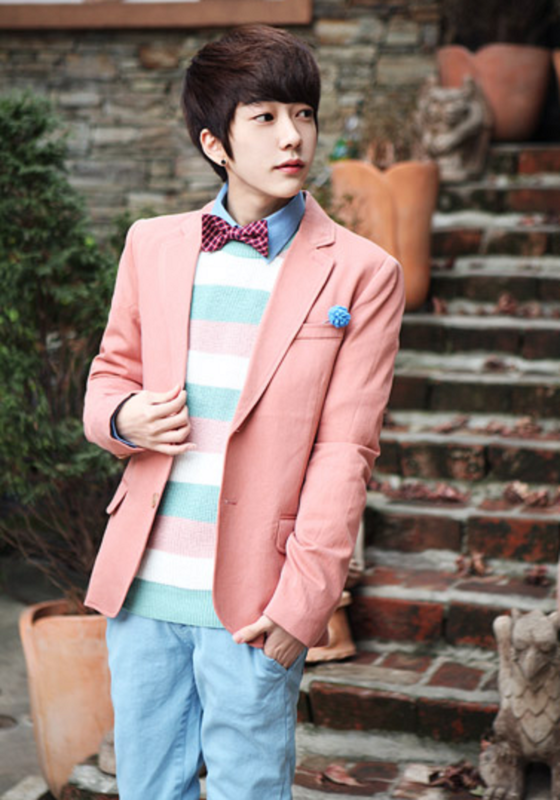 Formal pants and shirts can be worn with cuffed sleeves and unbuttoned jackets on Easter. Also, go for simple low-top converse shoes to keep it lightly casual. Funky t-shirts look best in spring and are best to flaunt during Easter get-togethers. Shorts look super cool if you are celebrating the Easter day on a beach with your fam. You can go for bright or neon colored shorts with white tees as well. We would love to know if you have any other ideas to add to our bucket list. Do not hesitate to comment your Easter look for the year.